Caper White butterflies earn a solid A+ for feeding on nectar. Found throughout Israel from June to December, they fly in to nectar, eat furiously, and then fly off to who knows where? Later in the morning, a small number of them appear once again, and again they nectar with extreme purpose. They tolerate my macro- lens while they are eating. They are less tolerant during their brief breaks, taken probably to rest. 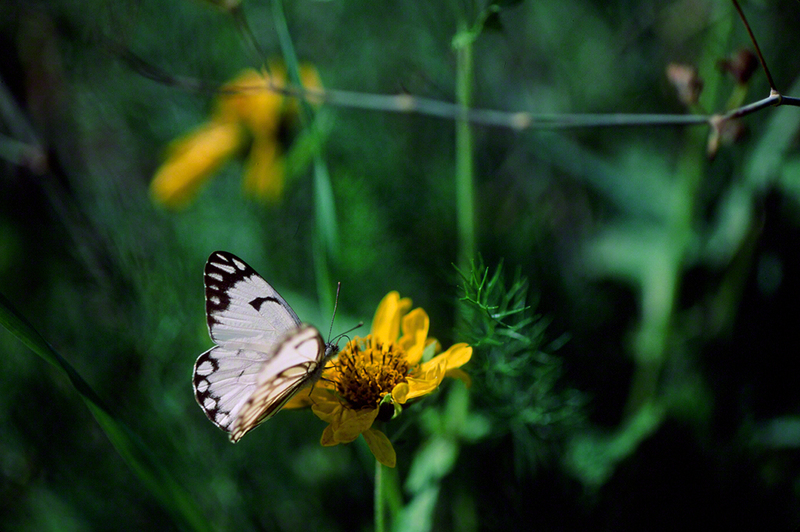 We photographed this male butterfly in Binyamina, one hour northeast of Tel Aviv. We also photographed Anaphaeis aurora in Ein Gedi. The Ein Gedi population was difficult to approach or photograph. Their hostplants are capers. We are familiar with capers from our kitchen. I found myself judging the photographic value of the males by the distinctive white spear tips on the outer margins of their forewings. This one was as good as any that we had seen. We wonder if this factor is considered by females when they look for a potential mate?